ESPN's "I believe that we will win!" ad left me me a bit surprised and asking a few questions. 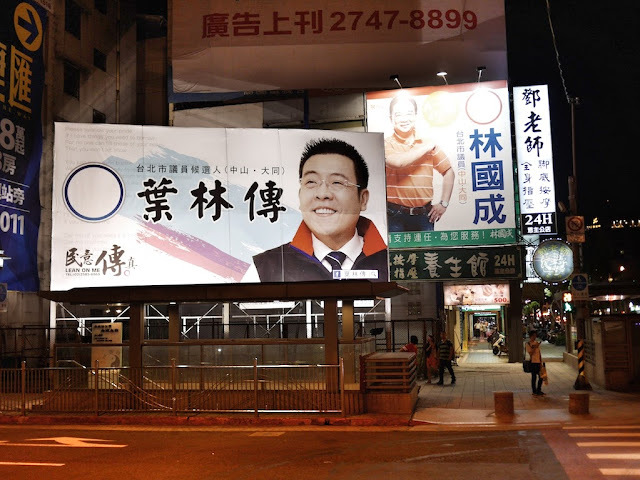 Another ad I recently saw also left me surprised but did so in a rather positive manner. The ad by Apple is remarkable for featuring Esa-Pekka Salonen, a conductor and composer of "contemporary classical" music. As Alex Ross notes, despite their incredible talents, artists like Salonen usually doesn't garner much mass-market attention. I would say more except that I don't need to, because Ross already wrote a great piece about the ad on The New Yorker. I appreciate ESPN wants to get Americans excited about the World Cup, but the chant "I believe that we will win!" leaves something to be desired. Not only does it call into question the claim that the U.S. is a leader in creativity, but its potential effect is weakened by the phrase "I believe that". Instead of detailing my thoughts in a three thousand word essay, I will instead simply share three other videos along with a few questions to ponder. First, what if the refrain in this song by Queen were "I believe that we will rock you"? It doesn't quite have the same kick, does it? Second, after the rocking is over, what if the refrain in this other song by Queen were "I believe that we are the champions? It raises the question of whether they are really the champions, no? I could go on, but (I believe that) I will stop here. Wherever he went Shirley-Quirk was a distinctive, larger-than-life figure, who could hold an audience with the beauty of his phrasing and clarity of tone. “A singer needs to be three-dimensional, not simply a walking voice,” was one of his favourite maxims, and one he invariably applied to himself. I’d only ever seen him from a distance on a platform, or on record sleeves, and not for decades. Back then, he was conspicuous for an extraordinary streak of white hair, badger-like, that ran back from his forehead through an otherwise quite thick black mane. And now that streak was gone, because the whole head had turned white. I was thrilled to meet him on that afternoon, he’d been a hero to me for so long. And while meeting heroes can be disappointing, in his case it wasn’t. He was charming, thoughtful, modest, fascinating; happy to be back in England with a third wife, having had two previous marriages cut short by death. Prior to his return to England, Shirley-Quirk spent several decades teaching at the Peabody Conservatory of Music in Baltimore, Maryland. His hair was all white during the time I studied there, and, more notably, he was on a wish list of teachers I especially hoped to learn something from. Since he taught voice and I played clarinet, I wasn't sure I would have such an opportunity. Fortunately, a soprano who studied with him asked me to perform Franz Schubert's "The Shepherd on the Rock" with her, and she invited me and a pianist to join her for a coaching during one of her lessons. That hour proved to be another example of how great musicians can transcend any particular instrument. One of my very favorite songs, sung incredibly beautifully by one of my favorite teachers at Peabody, John Shirley-Quirk, who passed away today. I had the incredible good fortune of accompanying many of his students over the years, and learned so much of value about music and about collaborating with vocalists. This man was a true musician, who cared deeply about composers' intentions (he worked closely with Benjamin Britten for many years) but who was also not above exhorting his students to "SING, dammit, just SING!" And what a glorious example of both this video is. You'd never guess that the man I caught napping many times on that ratty old couch he kept in his studio was someone of such stature, because he never put on airs, and his artistry was just of that sort, too; not at all without subtlety, but just so perfectly direct and truthful. RIP, JSQ...may your ripples be felt for many more noons, silent or not. I will end with the video shared by Michael and other friends--a performance by John Shirley-Quirk and pianist Martin Isepp of "Silent Noon" by English composer Ralph Vaughan Williams, based on a sonnet by English poet Dante Gabriel Rossetti. 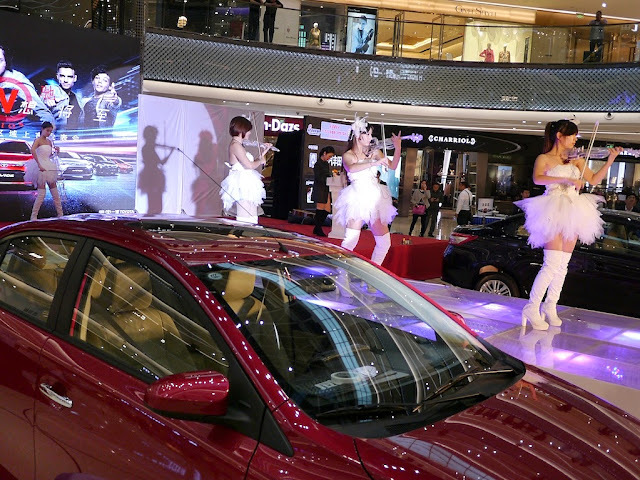 The new Vios is an important car for Toyota in China. The old Vios was very unpopular because it was considered too small and underpowered compared to the competition. The new Vios is larger than the old one, but the engines seem rather old and underpowered. Although the content, size, extravagance, etc. vary, I've seen numerous promotions like the one at Kaifu Wanda Plaza elsewhere in China. 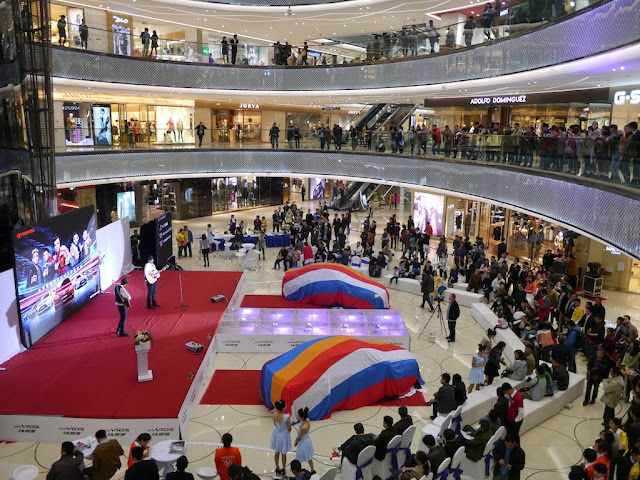 For now I will refrain commenting about this common form of marketing in China, but to provide an example of how companies are trying to connect with consumers in China and to add some more color to the earlier post about Kaifu Wanda Plaza I will share a few photos and a video of the Vios promotion. 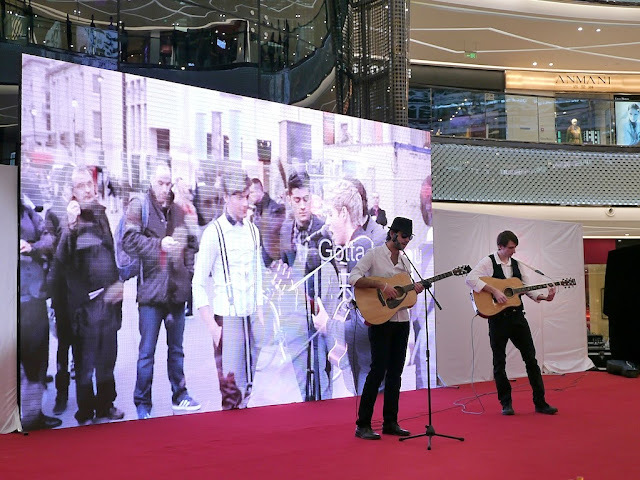 For more, below is a video of one performance. I was interested in capturing audience behavior as well, so it's from a distance and not the greatest for fully appreciating the performance. I will not be providing a review of the performance (including commenting on the fog machines) other than to say, like the promotion as a whole, it reminded me of others I have seen in China. Leonard Bernstein (August 25, 1918 – October 14, 1990) was an American composer, conductor, author, music lecturer, and pianist. He was among the first conductors born and educated in the United States of America to receive worldwide acclaim. According to The New York Times, he was "one of the most prodigiously talented and successful musicians in American history." Prelude, Fugue and Riffs is scored for a standard dance-band instrumentation of solo clarinet, saxes and trumpets in fives, four trombones, piano, string bass, and drums, to which Bernstein adds a second percussion part. It is one of the most frequently performed of Bernstein's shorter concert works, and has been widely embraced by wind ensembles in particular. While it was intended as a sort of crossover piece that combines jazz and classical elements, the material in Prelude, Fugue and Riffs leans more heavily in favor of the jazz aspect. Stravinsky's jazz-inspired music is an obvious point of reference for this work, and the similarity is felt most strongly in the opening Prelude, scored for the brass. This is followed by the Fugue for the saxes. In the Riffs section the solo clarinet is heard over the whole ensemble, which concludes with a riff reminiscent of Count Basie and of Kansas City-style ensemble jamming. If you now desire to learn more about Bernstein and are deeply suspicious of musicians, perhaps you will enjoy perusing the more than 500 pages of FBI files on him here which begin the same year Prelude, Fugue and Riffs was finished. They reflect another side of American life during the middle of the twentieth century. One, it is a fantastic example of how technology can be used to find new ways for people to express themselves - even when the subject is an old masterpiece. Another reason is it features instruments from an older period of music unfamiliar to many. Finally, and not least, the performer is a friend of mine who I first met while studying at the Peabody Conservatory of Music of Johns Hopkins about a decade and half ago. For similar reasons, I would like to now share another recording by James Howard Young. The piece performed, Canzon Primi Toni à 8 by Giovanni Gabrieli, is not a fugue but an earlier form of contrapuntal music. I doubt Gabrieli ever imagined his music would be performed in the manner James chose. And who knows how (or if) today's music will be performed in the year 2429. So lose yourself for a few minutes in a piece from 1597 that even after hundreds of years continues to receive new interpretations. Fanfare Magazine called guitarist Valerie Hartzell "a master at creating moods." Classical Guitar magazine praised her "impeccable musicianship and technique." Top reviewers on Amazon have chimed in on her CD "Ex Tenebris Lux," B. Noelle Huling saying the performance is "absolutely breathtaking" and Luz Sirbenet saluting Hartzell as an "extraordinarily talented performer ... a classical guitarist of major importance." ...was a prizewinner at the Portland Guitar Competition, the ECU Competition and Festival, and the Appalachian Guitar Festival and Competition. She has won 1st prizes at the 10th International Guitar Competition “Simone Salmaso” in Italy and at the Concours de Guitare Classique Heitor Villa-Lobos in France. At the Peabody Conservatory, Valerie studied with Manuel Barrueco on scholarship earning her Bachelor’s Degree in 1997. She was awarded a Graduate Teaching Fellowship at Radford University and was placed as Adjunct Faculty while studying for her Master’s Degree in Music, receiving her performance degree in May of 1999. The article and the website provide more details about Hartzell's life and music, including her mix of commitments which leave her regularly traveling between Alaska and Texas. But they both miss one key fact: for half a year she lived on the same dormitory floor as me at the Peabody Conservatory. "One thing I hate is when people call the guitar a 'relaxing' instrument," Hartzell said. "It's so diverse. It can be Spanish and fiery, royal, dynamic, yet romantic and lyrical. It's such a chameleon." In addition to the article, the Anchorage Daily News produced a video of Valerie performing the piece Recuerdos de la Alhambra (Memories of the Alhambra) by Spanish composer Francisco Tárrega (1852-1909). Valerie's performance is impressive not only for its display of technical prowess, but also for the unique expressive voice brought to the music. I share it here to bring more attention to a style of guitar music that is too often overlooked or mischaracterized and, of course, to "show off" my college friend Valerie. Valerie Hartzell plays "Recuerdos de la Alhambra". Composer Leroy Anderson has been described as "one of the great American masters of light orchestral music". Although I suppose I prefer "heavier" orchestral music, today I appreciated Anderson's piece "The Typewriter" as performed by Alfredo Anaya with the Voces para la Paz (Músicos Solidarios) orchestra. Anderson's "The Typewriter," a pops-concert staple composed in 1950, actually features a manual typewriter on the stage with the orchestra. In a 1970 interview, Anderson described how he made the typing sound a part of the music, not just an added effect. "We have two drummers," Anderson said. "A lot of people think we use stenographers, but they can't do it because they can't make their fingers move fast enough. So we have drummers because they can get wrist action." The piece not only shows how technology can be applied in unexpected ways, but also how it can have hidden charms. As violinist and conductor Vladimir Spivakov said of Anderson's music, "The craftsmanship, the humor, the humanity!" Like the aviation industry, the development of the arts could be representative of broader changes in China. And similar to some other fields, if the U.S. shoots itself in the foot and does not continue to support the arts, America could decline in a field where it now shines regardless of what China does. would be. That’s where fear and self-censorship comes from,” she says. It would seem, though, that Julliard may have fewer challenges in this regard and may be less likely to have professors barred from China. Although there are many popular music songs which are banned in China, I am not aware of any cases where the style of music typically studied and performed at a school such as Julliard has been banned. However, there are certainly pieces which have the potential to be considered sensitive [if you are aware of any such pieces being banned, I would be curious to hear about it]. Regardless of the challenges that may be ahead, I think it is wonderful that Julliard is pushing forward in China. 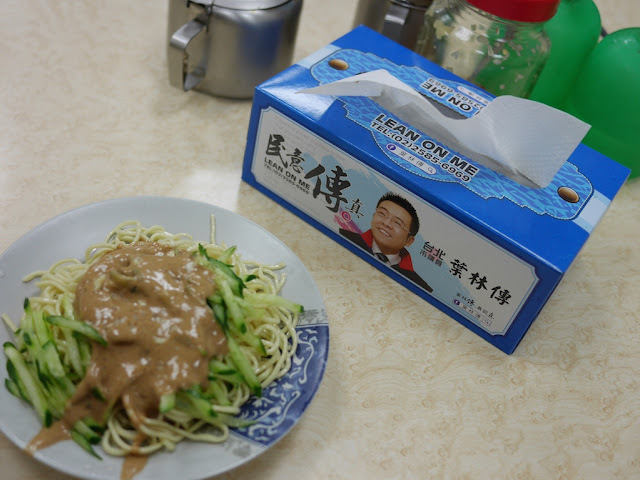 It will help to further spread the arts and creative expression in China. It will also provide Julliard a valuable mechanism to funnel talented and trained musicians to its main campus. Like other leading schools, it continues to draw many talented people to the U.S. Whether the U.S. appreciates how valuable that can be and works to ensure it continues is another question. The extensive recovery effort for my earlier mishap continue, but the end is in sight. Since I do not have time for a proper post today and want to hold off commenting on what I have learned from my recent experiences until later, I will share just a few unrelated items. 1. Thursday at 7pm China time (7am US EST time; 1pm Berlin time) I will be joining a discussion on Hangouts led by the president of the China Speakers Bureau, Fons Tuinstra, and also including Thomas Morffew & Alicia Noel. The topic will be "the current wave of anti-foreigner press in China - where it comes from, what it means to foreigners living in China, and employment implications for non-Chinese living in China." I look forward to discussing a topic that I believe has many layers. If you want to join or watch you can find more details here. Read the article, but I must point out an important fact first -- Kung Fu Panda has bad guys. 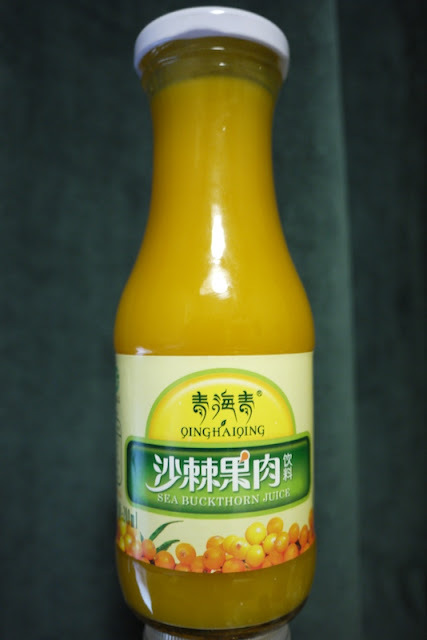 I had never heard of sea buckthorn juice so I figured I would give it try when I noticed it in a small convenience store. I must say it had a rather unique taste, and I am at a lost to describe it. I will give it another try when I have the opportunity. 4. And for today's baroque culture, I will share a video of a one minute long song with music by English composer Henry Purcell (it takes about 20 seconds for the music to start). The piece has the title "Man is for the woman made". Lyrics and music are displayed making it easier to follow. I found it a catchy tune and the title brought me amusement. Soon you may find yourself singing this song on the street as others look on in bewilderment. Anyways, I simply share it as a quick taste of music from long ago. Last month Beijing had the honor of hosting the Yehudi Menuhin International Violin Competition. The competition describes itself as "the world's leading international competition for young violinists" and includes two age groups: "Juniors" who are under the age of 16 and "Seniors" who are 16 to 21 years old. Americans won first prize in both groups and had three prize winners in total. South Korea also had three prize winners and China had two. I did not become aware of the competition until a friend who was a conservatory classmate of mine and is now a professional musician positively commented on a video recording of a performance. Especially since this friend rarely shares recordings, I was rather curious. It only took a few notes by the junior group 2nd prize winner for me to be captivated. The performance is not just technically impressive, but surprisingly musical for one so young. I am sure a lot of practice was involved, but you cannot play like that without an excellent ear and a lot of spirit. I could go on, but performances are better listened to than described. 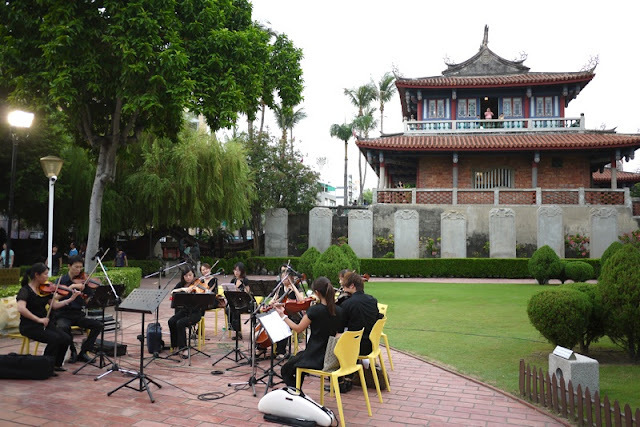 I haven't done a music related post in a long time, so I'll share some of the outdoor musical experiences I've had during the past several days in Tainan, Taiwan. 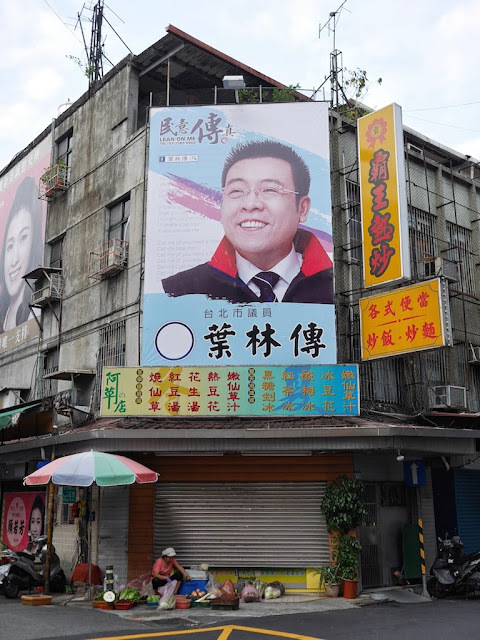 They help capture some of the diverse styles of music that can be heard across Taiwan. Maybe even more than musical performances with SpongeBob SquarePants in the background, what has most caught my attention in Taiwan is that Western art music (often referred to as "classical music" -- a term to discuss another day) seems to be more infused into the culture than anywhere I've seen in Mainland China. 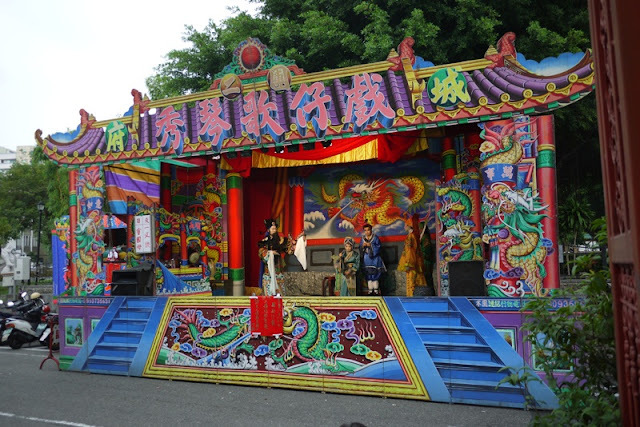 Western art music has also impacted Taiwan's culture in a way that has been experienced by many people who live in or have visited Taiwan. Garbage trucks will loudly play music to announce their approach and often the musical selection comes from a piece of Western art music (or is similar in style). The trucks play the music so that people know when to bring out their garbage. The net effect is that garbage doesn't need to be sitting outside on the streets or sidewalks. Where else can one be serenaded as one takes out the garbage? There is of course more to Taiwan's musical scene then just the above and this doesn't touch on many of the more popular styles. 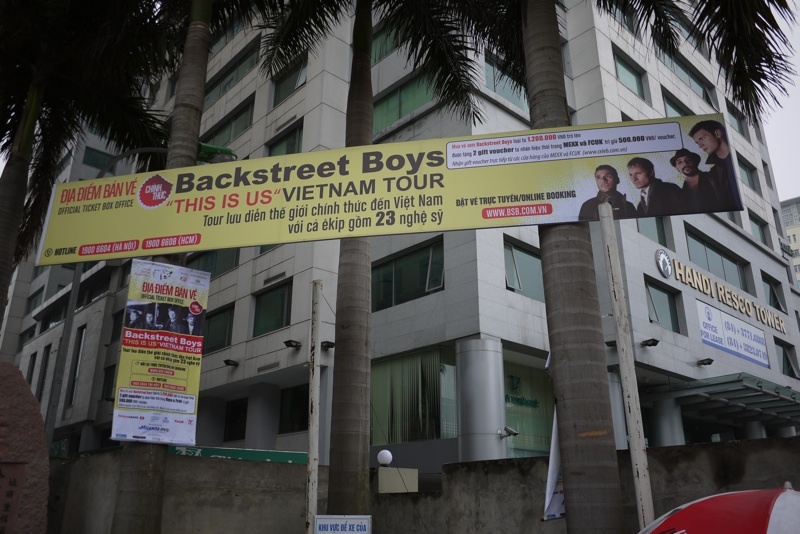 However, those weren't featured in any live outdoor performances I came across in Tainan. And no garbage trucks were playing them. A Documentary of "A Concept of Existence in its Totality"
Imagine a work so large that it mirrors the entire world. One is only an instrument the universe plays upon. I'm going to try to sell you on watching at least just a few minutes of a fantastic video on an incredible piece of artistic expression. 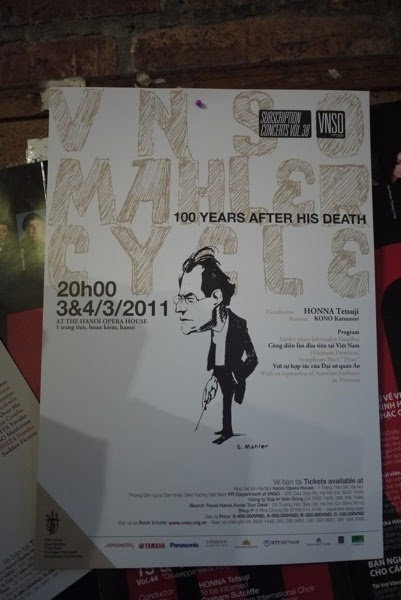 Gustav Mahler (July 7, 1860 - May 18, 1911) is typically considered one of history's great composers. While his name may not be as universally familiar as Mozart or Beethoven his compositions have had an immense impact on music in the 20th and 21st centuries and are regularly played in concert houses around the world. It was largely composed in the summer of 1895 after an exhausting and troubling period that pitched him into feverish creative activity. Bruno Walter visited him at that time and as Mahler met him off the ferry Walter looked up at the spectacular alpine vistas around him only to be told: "No use looking up there, that’s all been composed by me." Mahler was inspired by the grandeur around him at the very deepest level of feeling and also by visions of Pan and Dionysus. In fact by a sense of every natural creative force in the universe infusing him into "one great hymn to the glory of every aspect of creation", or, as Deryck Cooke put it: "a concept of existence in its totality." For many, such a large piece can be intimidating -- especially since it lasts at least 90 minutes. However, recently I've come across a documentary "What the Universe Tells Me - Unraveling the Mysteries of Mahler's Third Symphony" that helps make this piece more accessible. It's probably the best documentary I've seen for a piece of classical music -- especially in terms of acting as a guide for people with no formal training in or significant exposure to classical music. H/T to a tweet by Net Jacobsson (see here for purchase and reviews). Much of Mahler's music is programmatic, it has a story to tell, and Mahler's Third is no different. The documentary reveals that a reviewer of one of the first performances of the symphony wrote that the 3rd movement reminded him of a particular poem. When Mahler later saw the review he was "astounded" and later called in the reviewer to express that it was exactly the poem he had in mind. For now at least, the documentary is available on YouTube. I hope the publishers allow it to remain there as I think it can attract help attract attention from people who otherwise would have never considered purchasing this or similar documentaries. Whatever you may feel about classical music, I highly recommend giving the video at least 5-6 minutes of your time. See what you think -- you may be surprised. If that caught your attention I further recommend listening to the actual symphony. Try to set aside the 90+ minutes to listen to it in a single sitting without interruption (although a break after the first movement is common for live performances). As one learns the "language" of the piece more of its beauty, intricacy, and ideas will be revealed with every listening. Recently, I posted "Fugues" on James Fallows blog. I particularly recommend checking it out as not only does it provide some of the reason for my blog name, but it also communicates a part of how I see the world. Plus, it has a great video!!! Check it out.